The Estate of Sir Arthur Conan Doyle is suing Hollywood film producers over a soon-to-be released blockbuster movie which follows Sherlock Holmes during his retirement. 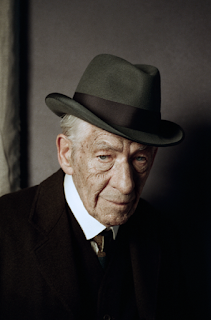 The author's Estate, which has been involved in several high-profile legal battles, now claims that the plot of the new film "Mr Holmes" infringes on the Conan Doyle's short story, "The Adventure of the Blanched Soldier" published in 1926 in Strand magazine. Defendants to the action include Miramax studio, film distributor Roadside Attractions, and director Bill Condon, who previously directed "Chicago" and "Dreamgirls". The movie - which stars Sir Ian McKellen as the fictional detective - is due to be released in the UK and the U.S in July. The complaint, filed in New Mexico, says: 'Reviews of early screenings, together with trailers released in the United States, reveal that the motion picture uses the same elements from Conan Doyle's copyrighted stories.' The film is based on the book "A Slight Trick of the Mind" and the Author of the book Mitch Cullin, and his publisher Random House, are also named as defendants. 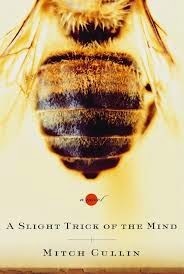 A Slight Trick of the Mind is set in 1947 and the long-retired Sherlock Holmes, now 93, lives in a remote Sussex farmhouse with his housekeeper and her young son: "He tends to his bees, writes in his journal, and grapples with the diminishing powers of his mind. But in the twilight of his life, as people continue to look to him for answers, Holmes revisits a case that may provide him with answers of his own to questions he didn’t even know he was asking–about life, about love, and about the limits of the mind’s ability to know." Holmes and Watson appeared for the first time in print in 1887 and all of the works are now in the public domain, except for the last 10 in the U.S. These were published from 1923 to 1927. In June 2014 the US Court of Appeals for the 7th Circuit issued its decision in Leslie Klinger v Conan Doyle Estate, in which upheld the decision of the US District Court for the Northern District of Illinois - Eastern Division that author Leslie Klinger was free to use material in the 50 Sherlock Holmes stories and novels that were no longer protected by copyright. Writing on behalf of the Court, Circuit Judge Richard Posner recalled the decision in Silverman v CBS, in which the 2nd Circuit held that when a story falls into the public domain, its story elements - including its characters - slso do. Works derived from earlier works whose copyright has expired may nonetheless be protected, but copyright will only extend to the "incremental additions of originality contributed by the authors of the derivative works." Last year, the U.S Supreme Court refused to hear an appeal in the matter by the Estate, meaning that that only the final 10 volumes have copyright protection until December 31, 2022. I'm just an interested layperson, but isn't the character of Holmes itself protected even if some of the early stories are now considered 'public domain'? Interestingly, although the story The Adventure of the Blanched Soldier first appeared in the Strand magazine Vol 73 Issue 431 dated November 1926, there is no sign of this story having been registered with the US Copyright Office around that date. 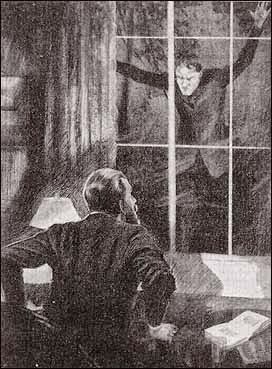 However, as Ben tells us, the story was later republished in a book of short stories under the UK title The Case-Book of Sherlock Holmes. A separate edition of the book appeared in the US with the title The Case Book of Sherlock Holmes (without a hyphen) and published by the George H Doran Company, of New York. This book was registered with the US Copyright Office on 27 June 1927 and so the initial period of copyright protection would have lasted until 1 January 1956. Unfortunately the online records do not show whether the work was re-registered in 1954 as the law required. If it wasn't (and very many books weren't) then the US copyright would then have lapsed. However, we have to assume that the registration was renewed because Chief Judge Castillo said in his opinion (line 17 page 3) of December 2013 that he accepted the Conan Doyle Estate's (CDE) evidence that copyright existed in the 10 short stories which were at the heart of the Klinger v CDE case. Confusingly, CJ Castillo refers to "the 1926 Case-Book", which is odd since both the UK and US editions were published in 1927 and the hyphen in the title appears to refer to the UK edition, which of course is no longer in copyright since the UK copyright in all of Conan Doyle's works ceased in 1981, fifty years after his death. Hi Greg - a short answer would be 'no': the Us courts have said that once a book falls into the public domain, so do the characters. The Conan Doyle Estate had argued that as the character of Homles had been developed over the years and wasn't fully formed until the last (still in copyright) stories, the character remained protected even if the earlier books did not. The court was having none of this. You need to go back through our earlier posts on this story but take a look at Silverman v. CBS Inc., 870 F. 2d 40 - Court of Appeals, 2nd Circuit 1989 - this case is important here: The appellant Stephen M. Silverman, developed a musical based on the "Amos 'n' Andy" characters from a decades old radio show owned by CBS into a new Broadway show. The appellate court held that with "Respect to the "Amos 'n' Andy" characters, which are at the heart of this litigation, we have no doubt that they were sufficiently delineated in the pre-1948 radio scripts to have been placed in the public domain when the scripts entered the public domain. See Nichols v. Universal Pictures Corp., 45 F.2d 119 (2d Cir.1930), cert. denied, 282 U.S. 902, 51 S.Ct. 216, 75 L.Ed. 795 (1931). What Silverman may not use, however, is any further delineation of the characters contained in the post-1948 radio scripts and the television scripts and programs, if it is ultimately determined that these last items remain protected by valid copyrights." So when a story falls into the public domain also its story elements - including its characters - do. Works derived from earlier works whose copyright has expired may nonetheless be protected, but copyright will only extend to the "incremental additions of originality contributed by the authors of the derivative works."